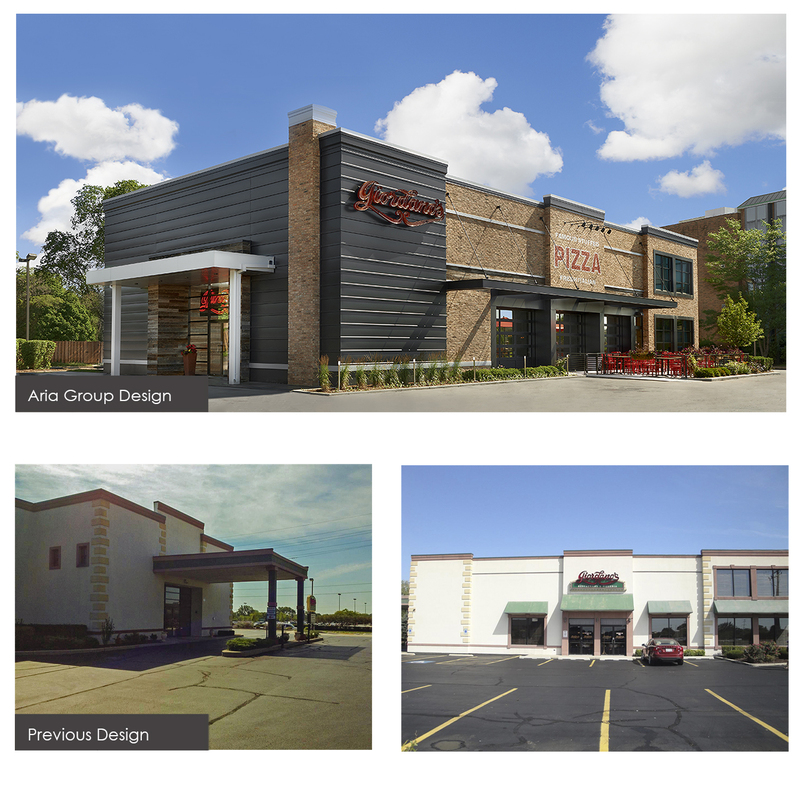 The Giordano’s location in Oakbrook Terrace, IL was in need of exterior refurbishing and updated branding as well as improved pedestrian flow to draw patrons into the restaurant. Some of the changes to the exterior had the added benefit of bringing more natural daylight into the restaurant. In order to achieve those goals, auxiliary exit doors were replaced with aluminum and glass garage doors that opened up the space without looking like the main entrance. The old façade was stripped down and new thin brick facing was added in place of the stucco wall. A new outdoor patio seating area was created that included a steel awning framework and patio surround. Additionally, to encourage people to walk around to the main entry vestibule, a new entry canopy and black aluminum façade were installed, along with neon Giordano’s logo signage. A brick accent plane also helps bring the focus to the side of the building. The result is an exterior with a clean, modern look, a welcoming new patio and a brighter interior dining experience. Leon is coming to the U.S.